Get ready for a Wild West adventure at the Grand Canyon West Rim! En route to the Grand Canyon West Rim from Las Vegas, sit back and relax in true luxury onboard our motorcoaches. Our buses are equipped with restroom, television monitors, reclining seats, footrests, and large vista windows for the best sightseeing experience. Your tour will begin with a photo opportunity of the Hoover Dam taken from the amazing O’Callaghan-Tillman Bridge, with enough time to enjoy the majesty of this engineering masterpiece and take some photos. It was stunning! The tour had some audio guide and showed us a video about Skywalk and it was very informative. 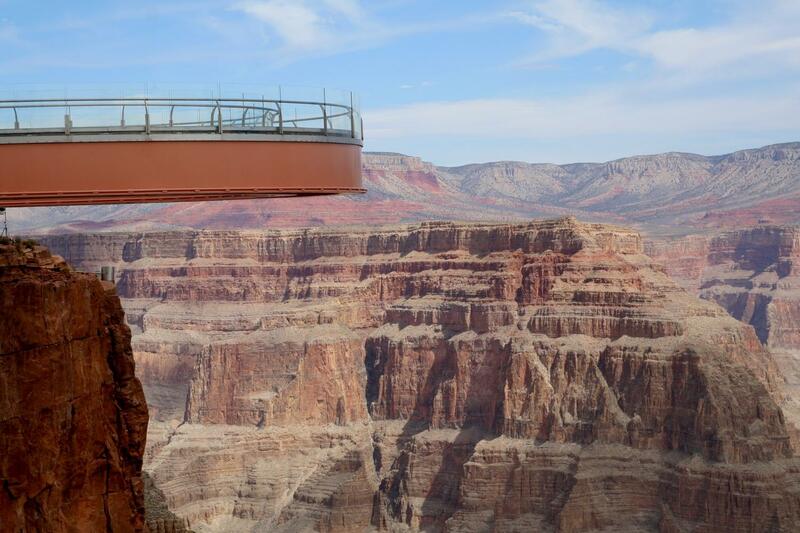 Beautiful way to see the Grand Canyon because it is a shorter distance from Las Vegas. The west rim is far less crowded than the south rim and very beautiful, Just not as large. But actually I think the views are even more stunning. Only downside was Wi-Fi on bus sporadic, phone chargers in many seats did not work. And despite our Wonderful driver Thomas reminding people to be mindful of the time and get back to the bus on time, we still had people who were late and delayed our departure.